Baton Rouge, LA – The Louisiana State Capitol, which houses the Louisiana State Legislature, the governor’s office, and parts of the executive branch, is a national historic landmark. Completed in 1932, the 34-story, 450-foot Alabama limestone-clad skyscraper is decorated with sculpture representing the State’s history and is the tallest capitol building in the United States, the tallest building in Baton Rouge, and the seventh-tallest building in Louisiana. 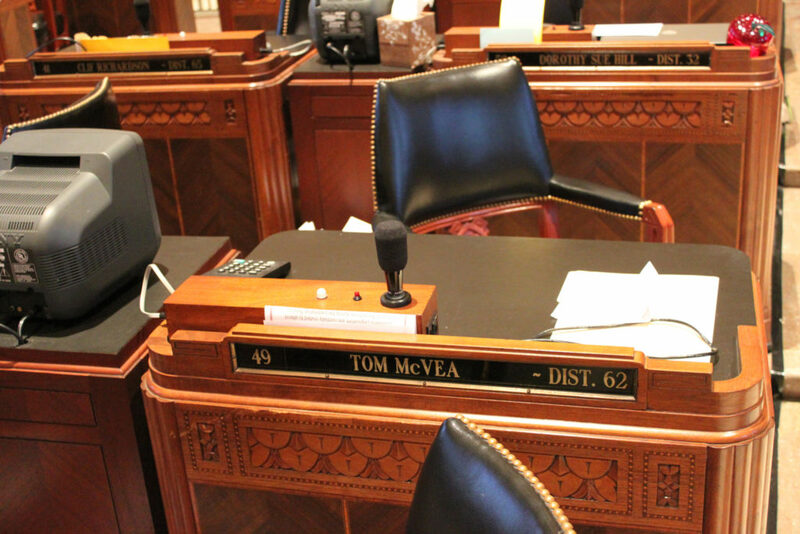 The Louisiana State Capitol is presently undergoing a multi-phase upgrade of its audio-visual facilities and, as part of this effort, numerous microphones from Milford, NH-based Earthworks Inc. are being deployed. NBTA Engineers, Inc. of Baton Rouge, an engineering consultancy that designs audio-visual, telecommunications, and security systems, was contracted to handle the design and specification of the building’s extensive electronics upgrade. As microphones are critical elements in this type of installation—not only for sound reinforcement, but also for recording/documentation purposes—NBTA’s design team took a long, hard look at the manner in which the microphones are typically used. Trez Traylor, President of NBTA Engineers, discussed the challenges they encountered. 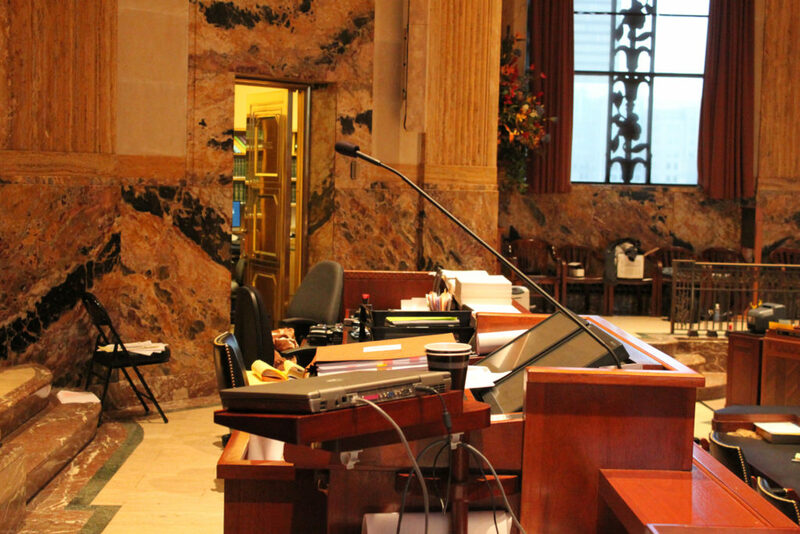 The first phase of NBTA’s Louisiana State Capitol Audio – Video Systems Upgrade called for 114 Earthworks SR25 microphones and 46 of the company’s popular FlexMic™ models. For the SR25’s, the Earthworks engineering team customized the microphones’ sound for handheld applications, used a lighter metal to better facilitate comfort while holding the microphones, and also used an anodized finish to ensure greater durability. Additionally, the modifications called for 40 ‘screw-on’ windscreens. The Earthworks FlexMic™, which is being used for tabletop applications, was customized with a special, extended boom length and had LED light rings incorporated into the tip of the microphones to indicate on/off status. Ford Audio-Video, a well known integration firm with numerous offices throughout the United States, handled the actual installation. 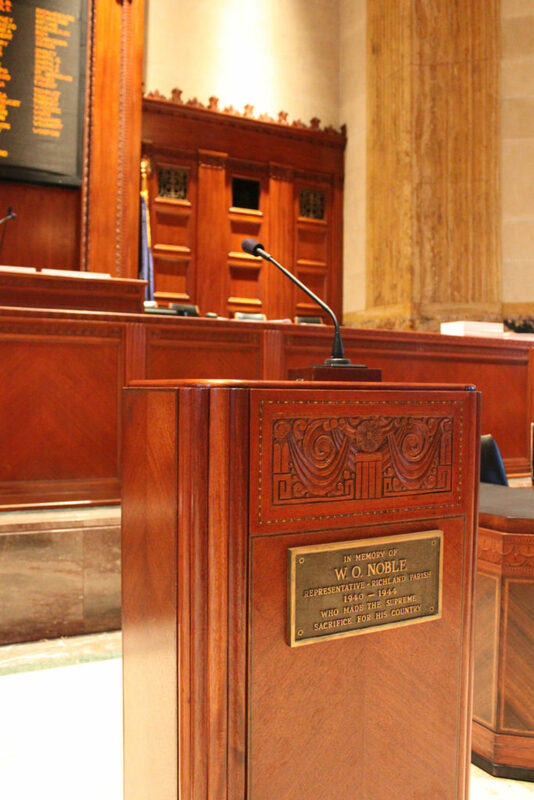 The Earthworks microphones are installed throughout both chambers of the Louisiana State Capitol as well as in committee rooms. Traylor commented on the microphones applications, “To ensure the greatest ease of use, we have the SR25 handheld microphones connected via a special assembly that automatically retracts the microphone cable back into the desk. This keeps cable clutter to an absolute minimum while the mics are in use and effectively hides the cable the moment it is put down. The FlexMics, which are positioned on lecterns and all other permanent positions at the front of the two chambers, connect directly into a flush mounted XLR connector on the surface—creating a clean look and providing easy to adjust positioning.” Biamp Audia and QSC Q-Flex networked audio processing and management systems provide DSP functionality and a Crestron automation system integrates the microphones with other equipment.  For additional information about NBTA Engineers, Inc., contact the company at 225-761-1112. If you are interested in working with Earthworks to customize microphones for an installation or high volume order, please contact our sales department at sales@www.earthworksaudio.com or (603) 654-6427.